Sometimes you’re in the mood for something uncomplicated, simple and crisp. 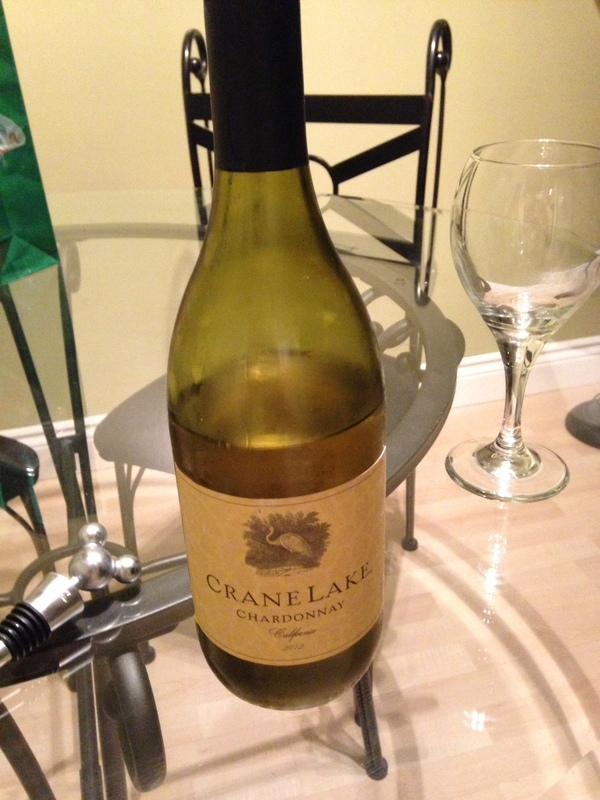 Enter the 2012 Crane Lake Chardonnay. This chardonnay is sweeter than most, making it a perfect sipping wine. It has strong notes of pear and melon, with hints of citrus and honeycomb. The wine has a nice, light, golden colour, reminiscent of the Sunshine state and its Napa Valley roots. As with most whites, this wine goes down easily with lamb, fish (salmon! ), a salad or any shellfish dish. Having a dinner party? Try serving this wine and some crab cakes as starters. A Guaranteed hit. This is a really nice summer patio or picnic wine, it goes down dangerously easy on its own, and at a lower price point ($11.99), this is definitely a nice wine to sip while not breaking the bank.